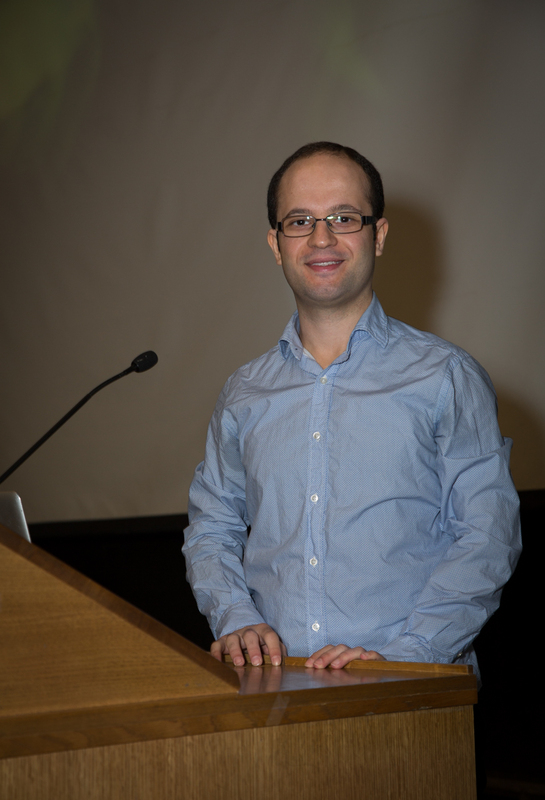 Emad Arash, winner of the 2014 Beckman Coulter – Molecular Devices Prize. Emad Heidary Arash, from the Attisano lab, presented the Beckman Coulter – Molecular Devices Prize talk for the most outstanding paper published in 2014 from a student in the Biochemistry Department. In this paper Emad and his co-authors identify ARHGEF7, also known as β-Pix, as a new regulator of the Hippo intracellular signalling pathway. This work was published last year in the EMBO Journal.